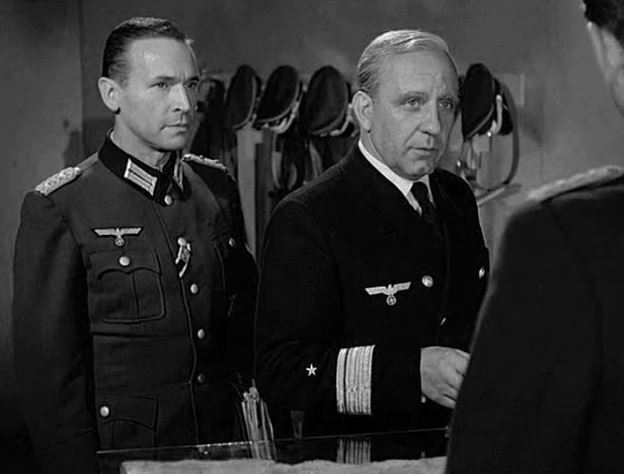 Typical for the 1950s, the film tampers with historic events: The head of the Abwehr, Admiral Canaris, is strongly opposed to the Nazi regime and eventually participates in a conspiracy against Hitler. 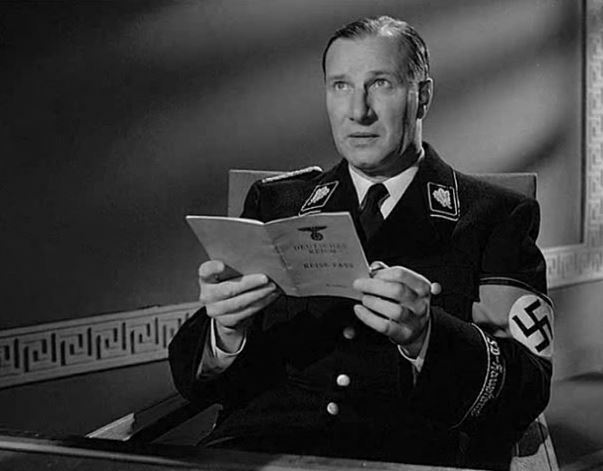 Obergruppenführer and head of the SD Heydrich turns out to be his most dangerous adversary, who spares no effort to remove Canaris from his post. 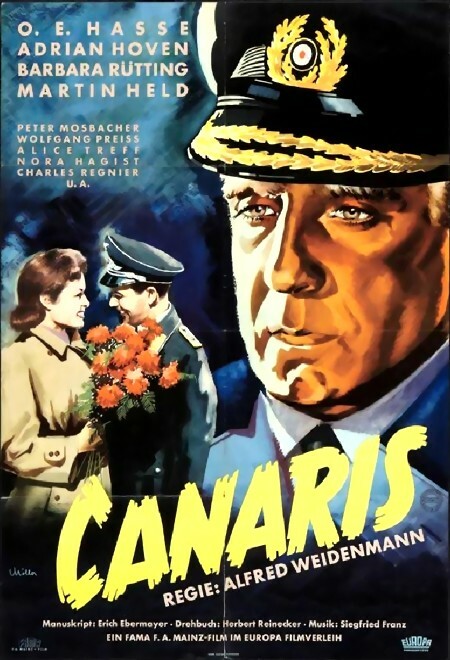 But when Heydrich dies – he is shot by Czech resistance fighters – Canaris seems to have escaped the danger. However, he repeatedly warns against a war with the Soviet Union; to no avail. Thus, he participates in the assassination attempt of July 20. Canaris had been unpopular for some time and he's being watched by the authorities. Finally, he is removed from his job and eventually dealt with. Previously sold by us under the title, Canaris, we've synchronized the soundtrack to be almost perfect and added switchable subtitles. The film itself, though "entertaining" in a way, will hardly give insight into the reality of the times. It's a "feel good" movie for a people, who didn't have much to feel good about and needed a good dose of self-congratulatory propaganda of a different kind to remind them that there were "others" in Germany; but most of those watching weren't them. The last scene, where Canaris' dogs are chasing after the car which has taken him away, is heartbreaking; maybe the only part of the film that reminds the viewer that there really are no winners in any war. Geschichtsverfälschung á la 1950er Jahre: Der Chef der deutschen Abwehr, Admiral Canaris, steht dem Nazi-Regime mehr als kritisch gegenüber und beteiligt sich schließlich an einem Komplott gegen Hitler. Obergruppenführer und SD-Chef Heydrich erweist sich als sein gefährlichster Gegenspieler, der nichts unversucht lässt, die Abwehr unter seine Beaufsichtigung zu bekommen. Nach dessen Tod – er wird von tschechischen Freiheitskämpfern erschossen – scheint der Weg für Canaris frei zu sein. Nachdem Canaris wiederholt vergebens vor einem Krieg gegen die Sowjetunion gewarnt hat, beteiligt er sich an dem Plan des Attentats vom 20. Juli. Aber da er sich bereits früher unbeliebt machte, wird Canaris weiter beobachtet, schließlich seines Postens enthoben und hingerichtet. DVD-R is in German with switchable English subtitles. Approx. 107 mins. See film sample for audio and video quality!